i have been stalking the etsy shop of louise hedley, aka, sohomode, for weeks, if not months now. why? 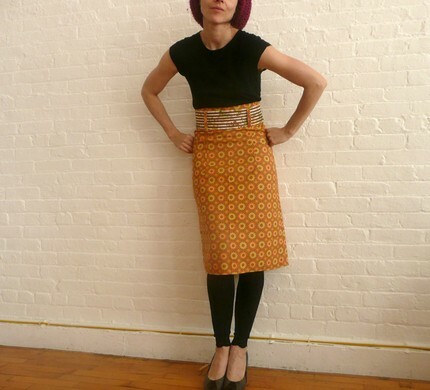 because of those amazing, flattering high waisted skirts of hers, simple pieces which are made oh so deliciously different with her inspired choice of fabrics (fun old floral prints, popping plaids, fringe). those the wide ribbon-decorated belts she pairs with them are actually, factually the perfect touch. 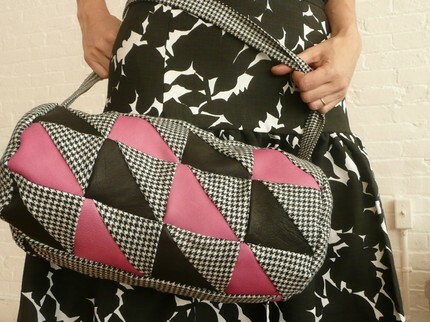 and her duffel bags are so so fun fun fun...the patchwork in a mix of leathers and wools is yes yes yummy.